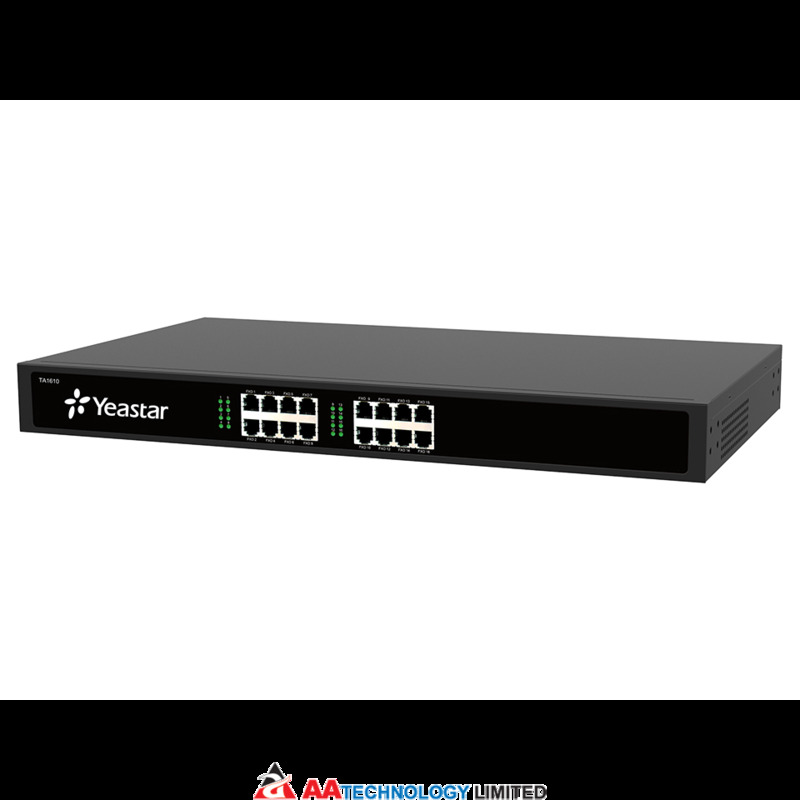 The TA1610 supports 16 FXO ports to interface with PSTN or PABX extension port. Suitable for large-scale deployment and management, TA1610 features toll-quality voice call and top performance and reliability. 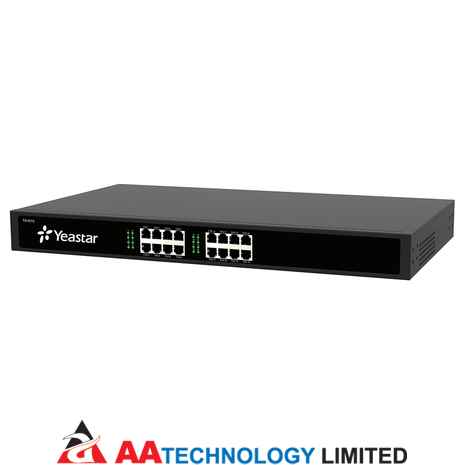 TA1610 is a stand-alone FXO VoIP gateway with carrier-grade features and reliability. TA1610 has an easy-to-use Web interface which allows super easy and straightforward configuration. TA1610 supports PnP or DHCP provisioning by MyPBX and standard open protocol TR-069 and SNMP. Provisioning, monitoring, and management are as easy as a blink.